When Apple released the iPhone 5 three months ago, jailbreak hackers were sent back to the grindstone. Like a new version of iOS, new Apple hardware almost always kills the current jailbreak. It’s a ruthless game of cat and mouse. Has the iPhone 5 been jailbroken? Sort of. A picture of what looked like a jailbroken iPhone 5 spread like wildfire several months ago, but that’s only part of the story. An iPhone 5 jailbreak is being worked on, and good progress is being made. For jailbreakers, now is the time to have hope. A small, elite group of hackers are responsible for cracking Apple’s mobile OS and sharing their jailbreaks with the world. While some are motivated by their careers or money, many spend countless hours exploiting iOS for a simple reason: because it’s a challenge. The iPhone 5 may be the biggest challenge yet for veteran hackers like pod2g, p0sixninja and planetbeing. Apple has patched multiple exploits that have been used in the past. Assembling a new jailbreak is like putting together a really intricate jigsaw puzzle or an expensive watch. It involves multiple exploits working together in harmony, like a complicated symphony. Pieces of the puzzle are starting to come together. At JailbreakCon (WWJC) back in September, the future of the iPhone 5 jailbreak looked grim. Fast forward to November, and things are looking much more promising. 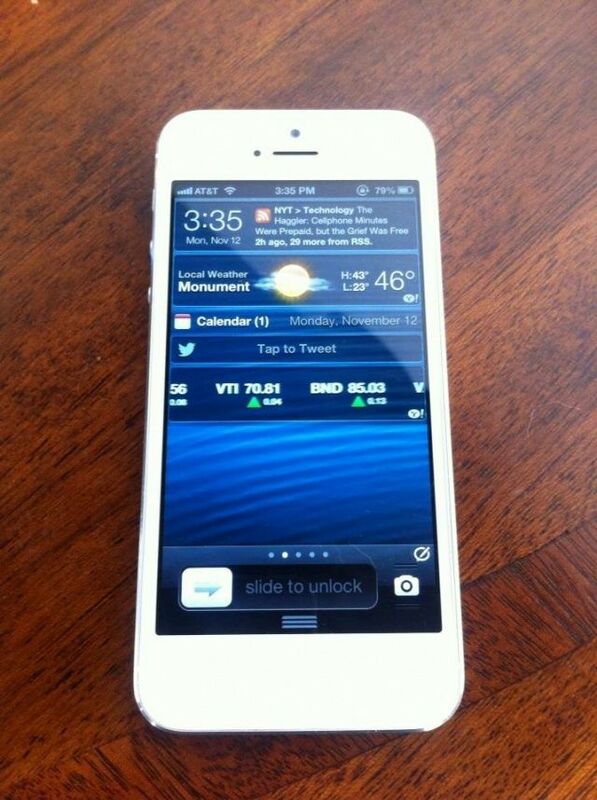 Prominent Chronic Dev hacker planetbeing was working furiously on the iPhone 5 jailbreak during JailbreakCon, and yesterday he tweeted a picture of his personal iPhone 5 (pictured above) running a jailbreak tweak. “Can’t say too much, but we’re still missing critical pieces so it’s not releasable right now,” said planetbeing, who’s first name is David. “Believe me, we’d love to release it ASAP.” In essence, the foundation of the jailbreak has been laid, but its structural integrity needs to be ensured before a release.